It never ends there, all suspension components, cross members, steering components and under hood components come into play as well. We will also strip the fire wall and underside of the body and coat it with rust inhibiting primer, Lizard Skin sound deadening and a coat of paint to help release road dirt. Lizard Skin and a Dynamat material are also installed on the interior floor, doors and roof area. The result is a vehicle more in tune with the expectations of a more modern vehicle, gone is the tinny sound we all have become accustomed to from our thirty year old trucks. The level of restoration vs modification you choose will determine the overall "tone" of your land cruiser. An area that has very little support in the after market is the interior. I would say that 80% or so of the trucks I see have issues. Torn seats and warped door panels are common, along with carpet that long ago needed to be replaced. We are slowly working on interior options for the 60/62 series. Door panels are on the radar and the search is on for reasonable dashboard solutions. We get a great many calls from folks in all different walks of life that all have the same direction when it comes to their cruiser. “ I want it to drive and stop like a new Tahoe but I want it to look like my thirty year old Land Cruiser” Essentially, why stop at a new drive line, rebuilt axles and brakes. 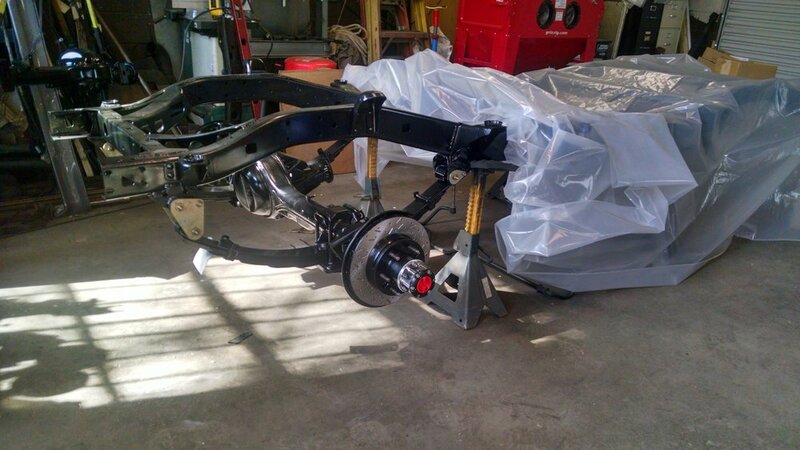 Take the full body off, strip it down to the bare frame, axle housings and inner fenders. 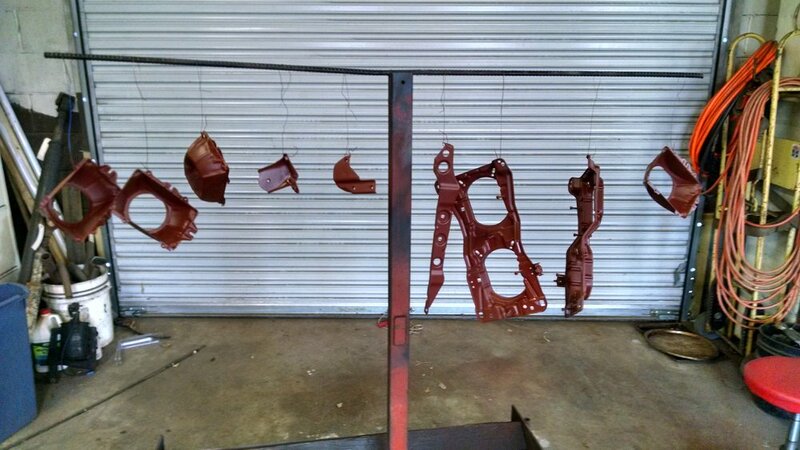 Rear brake backing plates all refreshed and ready to install. The scope of this level of Resto-Mod can be daunting to some that have never been through it, either with a vehicle or a house. Take a look at your truck and all the single components that all go together to form a cohesive vehicle that will take you almost any destination you choose. We’ve had customers in the past that are a bit shaken when I send them photos of their truck’s frame completely taken down to bare metal and nothing left attached. Perhaps they relate it to that old car their Uncle Bob took apart in the 80s and is still strewn throughout his garage, basement and a shed. Rest assured that we will get it all back together and put some miles on it before we turn it over to it’s owner. "While you're in there" If you are not already familiar with this term, you will be by the time you go through a Resto/Mod. Where to draw the cut off line is about the hardest choice any owner has to make.